Hello Everyone! Its been to hot here in San Diego that I have spent a lot of time sitting around crafting so I decided to play along with Fusion Card Challenge today. I love making watercolor backgrounds. They are so quick and easy but it looks like you took a long time making it. I have also been seeing a lot of cards out their with the Bokeh style so I decided to attempt to re-create that look with this card. I must confess that creating the Bokeh effect took me four different times and I finally decided this card was close enough. I made my own stencil using acetate and some circle punches I had. I think you can buy stamps to create this effect but I wanted to use what I had at home. For my first two attempts at this card I used Avery Elle white pigment ink and they still haven't dried and its been a week. I don't know if there is a trick to getting your pigment inks to dry but mine is still smearing after a WEEK! Needless to say I needed a new white ink so I ended up using Memento Luxe pigment ink and it dried in a matter of hours. The big circles I applied less ink to make them appear to be behind the little circles. The smaller the circles got the more ink I applied to make them appear closer. I am happy with how this card turned out and hope you enjoyed it too! This is GORGEOUS. Love that technique! 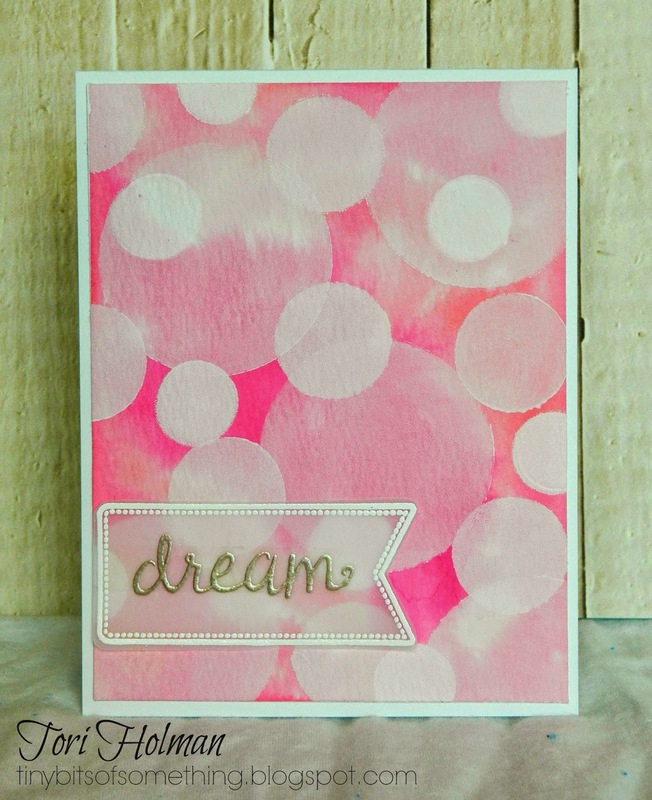 Gorgeous card :) I love the bokeh u created, Thank you for sharing with Fusion ! LOVE your Bokeh Background, JUST Inspiring and AMAZING!!!!! Thanks for joining us at FUSION! What a great card for the challenge Tori! 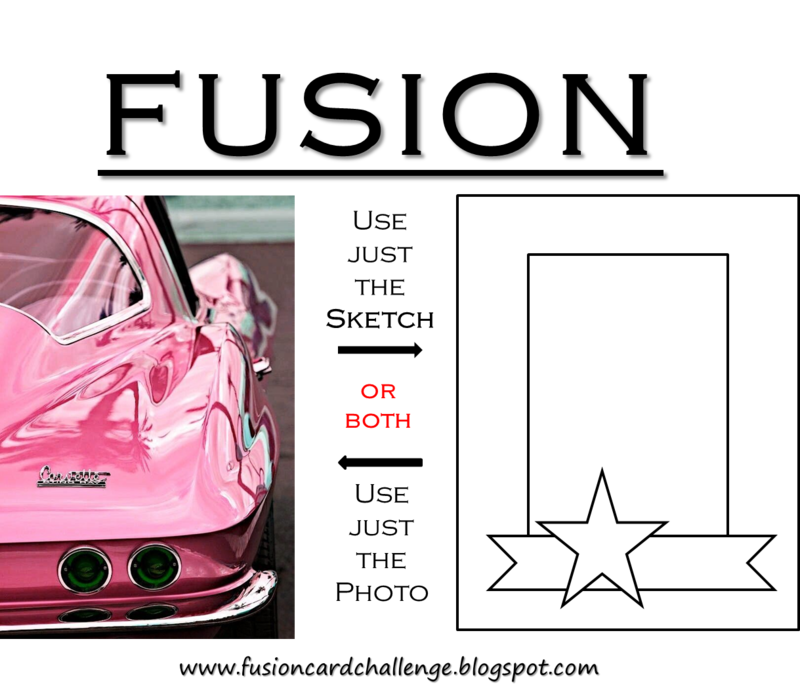 love that technique - and perfect in pink! thank you for joining in on the Fusion Challenge!